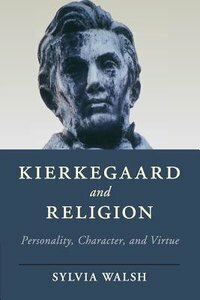 No thinker has reflected more deeply on the role of religion in human life than Soren Kierkegaard, who produced in little more than a decade an astonishing number of works devoted to an analysis of the kind of personality, character, and spiritual qualities needed to become an authentic human being or self. Understanding religion to consist essentially as an inward, passionate, personal relation to God or the eternal, Kierkegaard depicts the art of living religiously as a self through the creation of a kaleidoscope of poetic figures who exemplify the constituents of selfhood or the lack thereof. The present study seeks to bring Kierkegaard into conversation with contemporary empirical psychology and virtue ethics, highlighting spiritual dimensions of human existence in his thought that are inaccessible to empirical measurement, as well as challenging on religious grounds the claim that he is a virtue ethicist in continuity with the classical and medieval virtue tradition. About "Kierkegaard and Religion: Personality, Character, and Virtue"
Sylvia Walsh is Adjunct Professor of Philosophy at Stetson University and has contributed to several volumes on Kierkegaard. 1. The Constituents Of Personality; 2. Portraits Of Character; 3. Character And Virtue; 4. Existence As A Time Of Testing; 5. The Content And Formation Of Christian Character; 6. Progress And Sanctification In The Christian Life.